Last September I was invited to do an Artist-In-Residency at The Langley School just outside of Washington D.C. 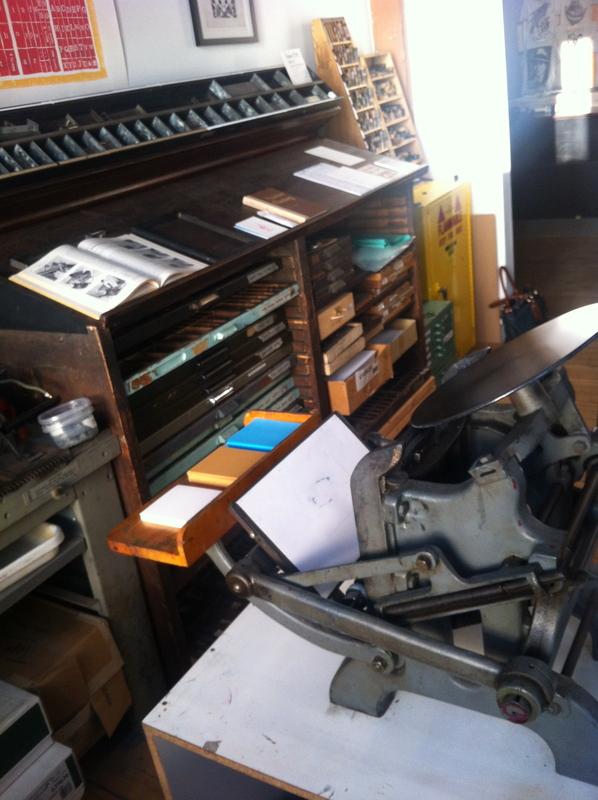 I taught fifty 7th graders printmaking and bookbinding. I knew once I arrived time was going to fly so in order to prep the students I had them do a few weekly assignments in their sketchbooks. Their theme revolved around identity. I wanted them to be able to get their hands dirty and not waste anytime brainstorming. 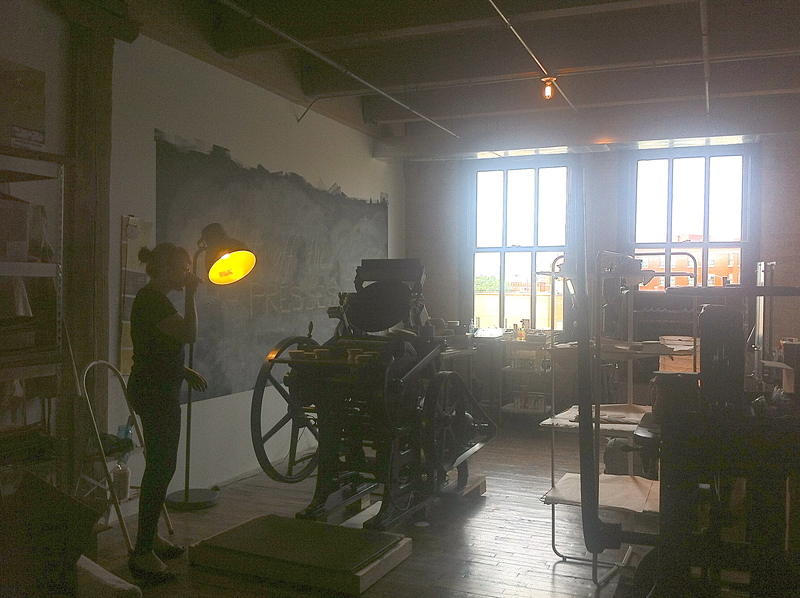 Each student learned how to create a printing plate (collograph), print an edition, screen-print covers, use a typewriter, and sew a hand-bound book. 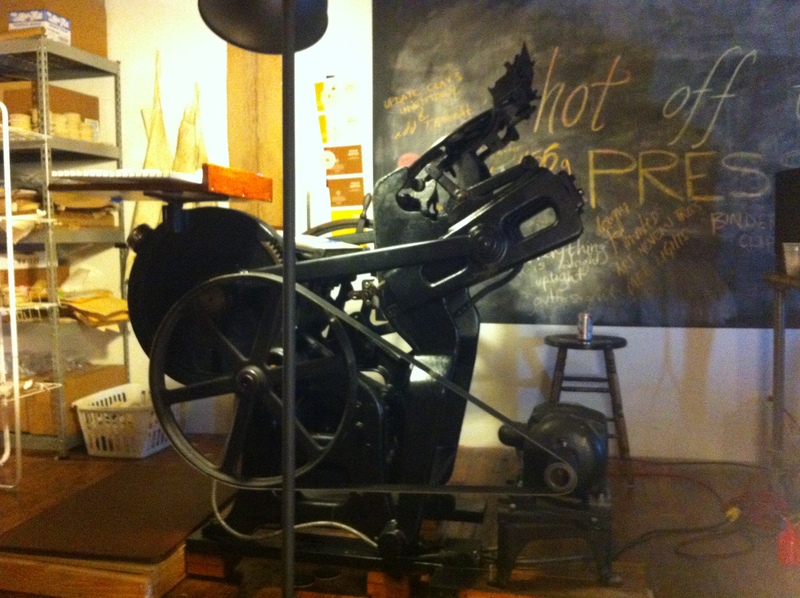 I will be teaching letterpress classes at Spudnik Press starting next week! 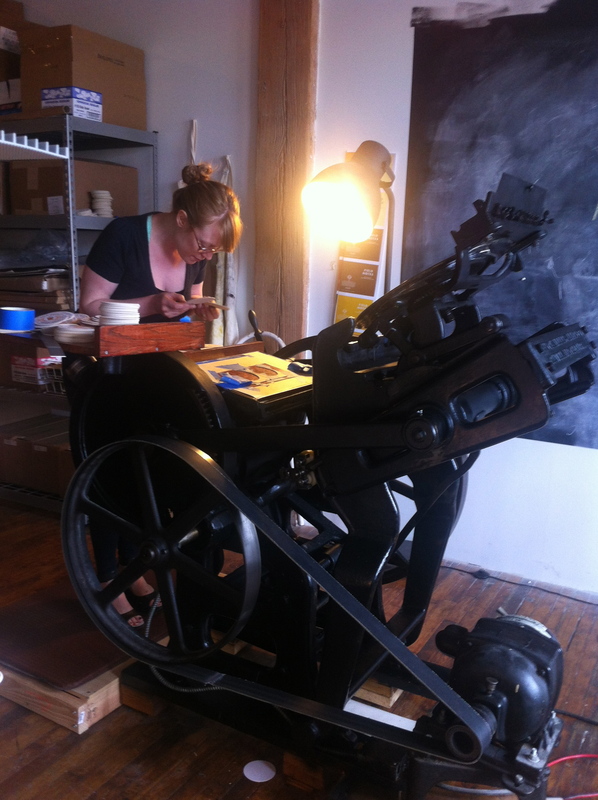 Spudnik Press is a community print shop that allows artist to come and use their facilities. 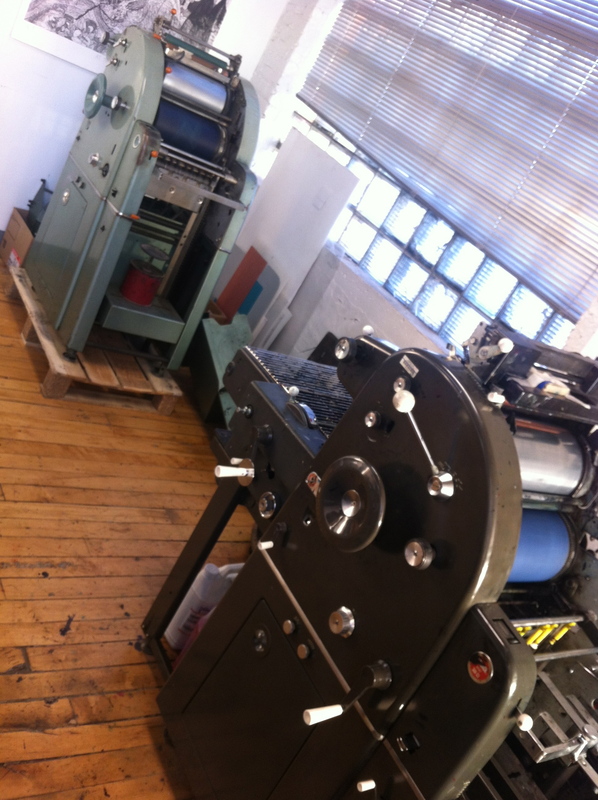 They offer open studio times to work on your own work or classes to learn new printing processes. 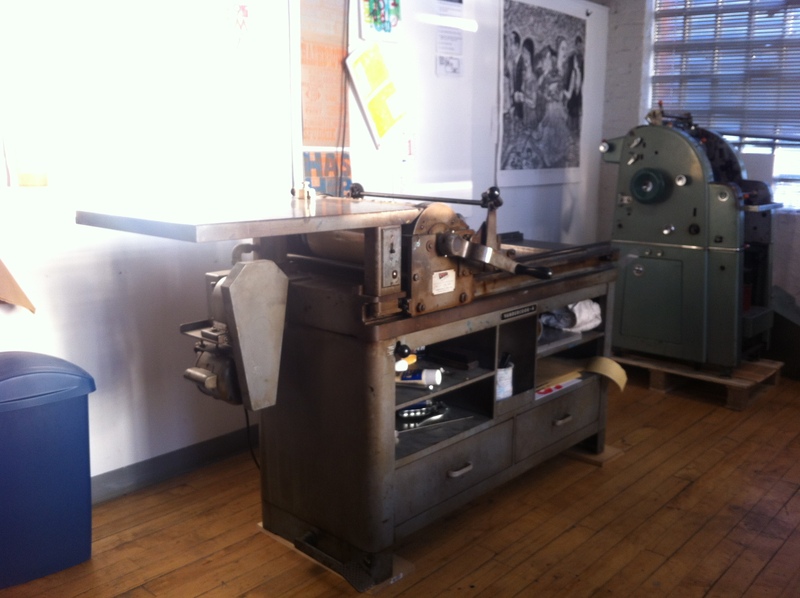 The letterpress I class is full but there are still spaces available for the card workshops that will take place in November. Perfect for making your very own business cards, christmas cards, or anytime cards. Add a personal touch to your cards by making them. 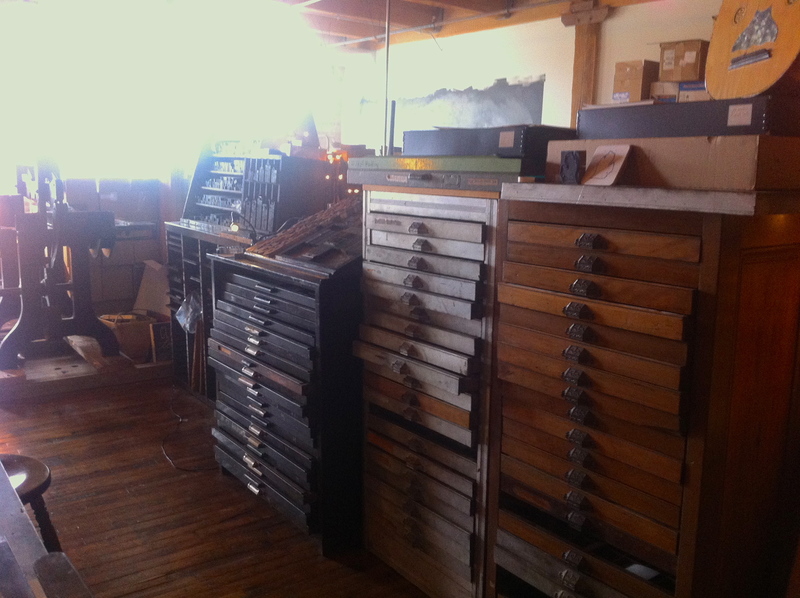 If interested go to their website Spudnik Letterpress Classes. 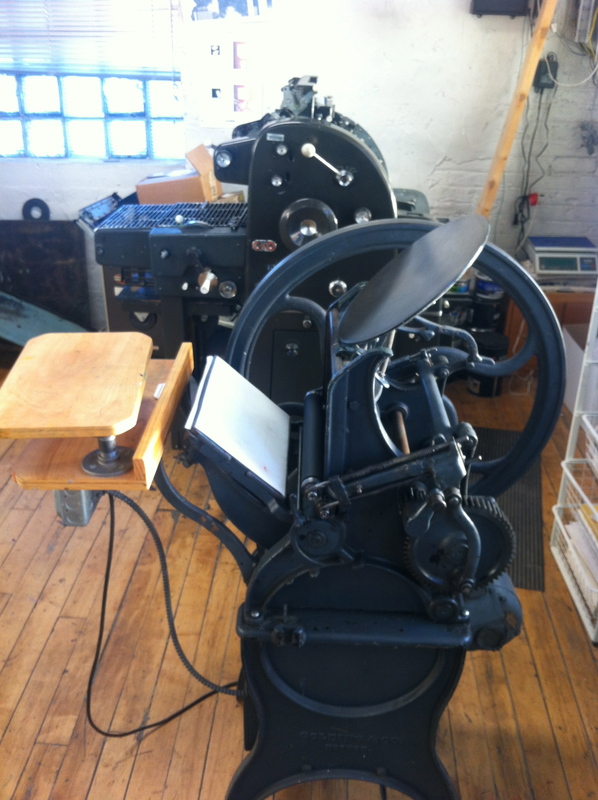 I am super excited to be able to teach letterpress printing again. Here are pictures of their shop. 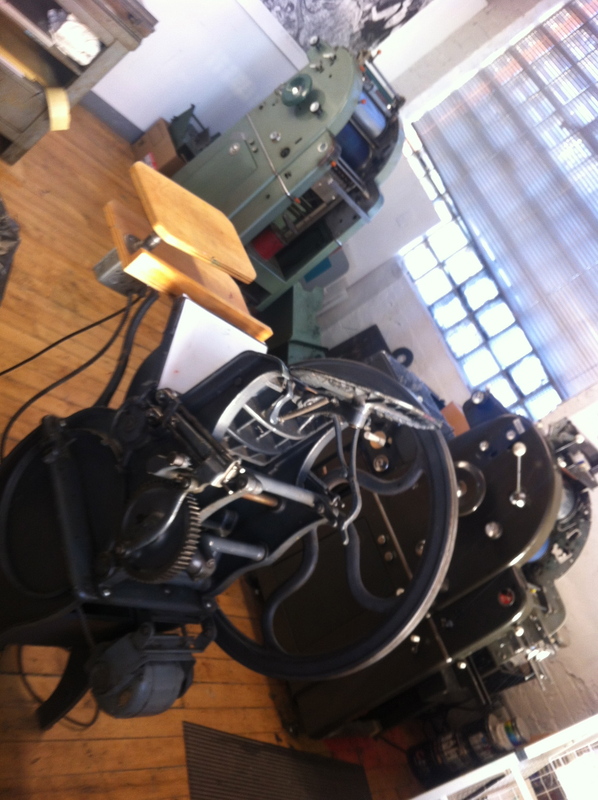 I only have photos of their letterpress/offset equipment but they also have screen print, litho, & intaglio. Come take classes with me!!! !